How Do I Find Out How Much My Property Taxes Are? Property taxes on homes and businesses raise funds for a large part of the county, including for city and town governments. A smaller part of property taxes goes to state budgets in the United States. Borrowing Better is happy to provide its readers with this guide to their property taxes and finding out how much they are. What Exactly Do Property Taxes Pay For? Money goes back into local services like roads, sewers, and public recreation. These important taxes fund public buildings and programs. They also pay salaries for local government, school, and public land management employees. Emergency, fire and police departments also receive funding every tax period from the homes and businesses they serve. Calculating residential property taxes takes place in three parts. Assessors, who usually work for a county, city, or town, price homes and land. An assessor estimates the dollar value of a property in person, in order to calculate taxes. The market (or comparable sales) method gives a dollar value to residences, going by local sales of similar properties. A home in a neighborhood where houses sold for $100,000, $110,000 and $90,000 might assess at $100,000. The cost/replacement method values homes based on the cost of replacing everything with new equipment or materials. The value of the land is added to this estimate. With both methods, the assessor often applies a standard assessment discount (like using 90% of assessment) before applying the tax rate. A tax rate is an amount of dollars owed for every thousand dollars of assessed value. It is either shown as a percentage (2% or .837%) or a mill (dollars per thousand) rate, like 20 or 8.37. The mill rate is simply the number of the percentage, multiplied by 10. Most property tax does not change much yearly, because they depend on county, city or town budgets. However, school, water, emergency and other smaller taxes may see larger changes every year. 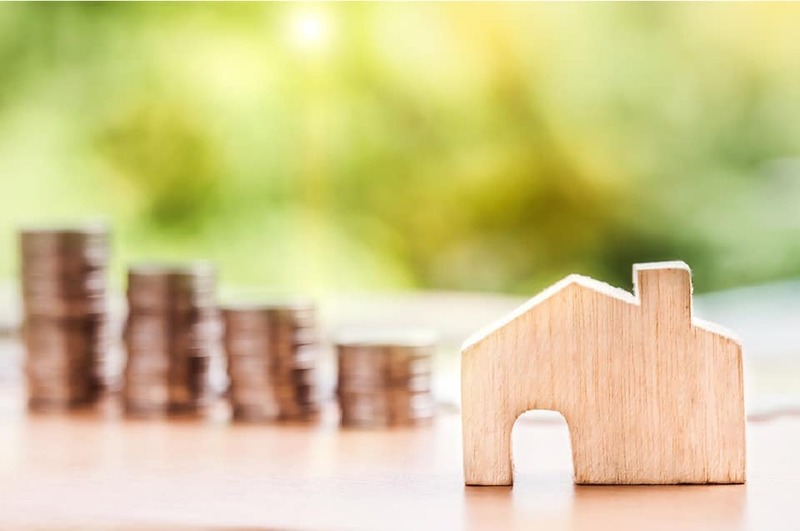 Each state or local agency divides the amount of money it wants to raise by the assessed value of all properties in its area or special district. For the mathematically inclined, we have included an example. If you don’t need or want this, skip it and move on to the next section. Let’s say there is a very small school district for two families. Family A has a house worth $60,000. Family B has a house worth $40,000. The district’s total assessed value is $100,000. The school declares a special assessment of $4,000. The $4,000 is 4% of $100,000, so this comes to a 4% tax rate. The number 4 in 4 percent (4%) is multiplied by 10, to get the mill rate, which is 40. So, for each $1,000 in value that a home has, an owner in this district pays $40 in school tax. Family A pays $40 for each $1,000 in value that the home is worth. The family’s $60,000 property owes 60 x $40 in tax, or $2400. Family B pays 40 x $40, or $1600. $2400 + $1600 = $4,000, the money the school wanted! All this math is great, but what if you just need the dollar amount they told you at tax time? Property owners usually receive property tax bills by mail, in a combined bill or several of them. Web companies partner with local governments to show tax bills online, but access depends where you live. You can search online for tax information on your property — often called a “lot” or “parcel” — by typing in your city/town, plus “property records”, “tax cards” or “municipal records”. Sometimes you’ll need your assessor’s ID number, or property information, because laws like California’s Proposition 13 stop estimated tax figures from showing publicly on property listings. If you’re missing your property tax information, you can contact your town, city, or county clerk, or your local tax department. You may instead need to ask for your assessor, or speak with your county tax agency. According to WalletHub, effective property tax rates start from the welcoming .27% rate in Hawaii, and end at the highest 2.35% rate in New Jersey. For an in-depth look at extra property tax information by state, click here. Finding out your property taxes involves the assessed value of your home, which agencies tax you, and the total of all tax rates and special assessments. A little math practice helps you keep on top of rate changes. A little online research goes a long way, and local government offers support at county, city and town level by phone, internet, mail and email to tell you what you need to pay. Image: CC0, Nattanan23 via Pixabay.